a most spectacular event to ring in 2019. Gather together in the heart of Dublin city with family and friends on December 31st. The Custom House, just on out doorstep, becomes the stage for this year’s New Year Festivities. This takes place between 6pm and 7pm at Customs House Quay. Dublin City will light up with excitement with the Liffey Lights Midnight Moment – Matinee. This highly anticipated event returns this year with a brand new early countdown spectacle. Families and friends of all ages can ring in the New Year together with entertainment starting at 6pm. The matinee countdown takes place at 7pm. Little ones will watch in delight and as laser lights and aqua beams dance through the sky. These will be in perfect rhythm with the music as you count down to the New Year together. This is a free family event which is ticketed. Tickets are available on Ticketmaster. Prepare yourself for a New Year’s Eve night to remember. Platinum selling artist Gavin James has been announced as the headliner for the 3Countdown Concert. The stage is set at Custom House Quay. This is located just minutes from ELY BAR & GRILL. Gavin James will be joined by special guests Hudson Taylor, Wild Youth and Inhaler. Tickets include entry to the Liffey Lights Midnight Moment event. These are priced at €29.90. Or indeed you could listen to the sounds of the concert from the comfort of the heated terrace at our Atrium Bar. Listening to Gavin James while sipping a winter warmer cocktail. Celebrate the final moments of 2018 under a canopy of sparks. The Liffey Lights Midnight Moment signals the end of 2018 and the arrival of the New Year. This dazzling lighting spectacle will be performed against the backdrop of the Custom House. It features a thrilling choreography of lasers and aqua beams. The performance features live DJs and percussionists. The performance will be on the water, on a floating stage. Hundreds of lasers and lights will illuminate the midnight sky over Dublin City. This is a free event and starts at 11.30pm with excitement building as the clock strikes midnight. To compliment the Festival goings on in the Docklands this New years Eve, ELY BAR & GRILL have a special evening planned. We open at 4pm, serving bar bites and our little people’s menu. Families are welcome to join us before or after the Midnight Matinee Moment event at 6pm. 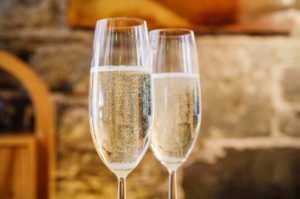 For those looking to celebrate New Years Eve in style, the Champagne is on ice and our kitchen team have created a tasting menu for the occasion. In true ELY style the menu features seasonal produce from our community of artisan suppliers. In the Atrium Bar our resident DJ will play a New Year’s Eve set. Our Atrium Bar team are busy creating a signature cocktail, fitting for the occasion. We are now taking reservations for New Year’s Eve. Why not contact us to reserve your table be it for a family gathering or to ring in the New Year with someone special. 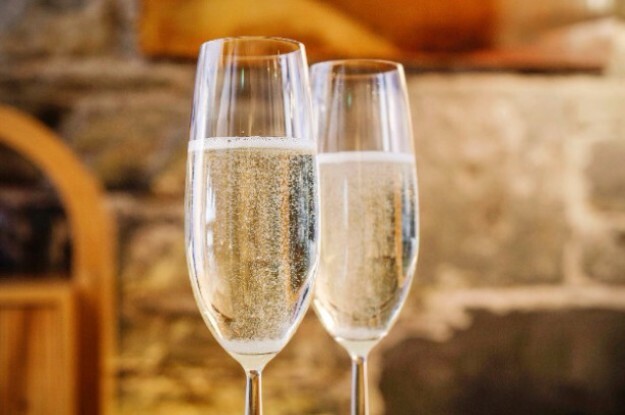 You can see our New Years Eve tasting menu here or reserve your table online or by calling Ingrid on 01-6720010. Table reservation Terms and conditions – ely wine bar, D2. Always be the first to hear about our special offers and events. Sign up to our newsletter and never miss out again!